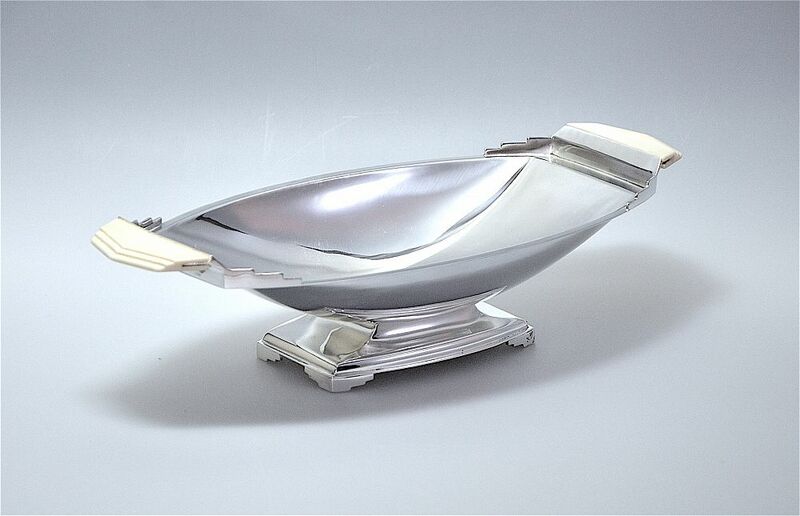 This very elegant silver plated footed bowl was made during the Art Deco period by CW Fletcher & Sons Ltd of Sheffield. The footed tiered rectangular base supports a boat shaped top with tiered ivorine composite handles. The underside is marked " "EPNS A1 Arundel Plate 3837" with the remains of the letters "CWF S" visible above. Would look wonderful with the silver plated and ivorine tazza that is also on the site.